Russian team G-Drive Racing will continue its efforts in the FIA World Endurance Championship and the 24 Hours of Le Mans this year. G-Drive will race a new Gibson powered Oreca07, with a new technical partner and a new driver line-up. 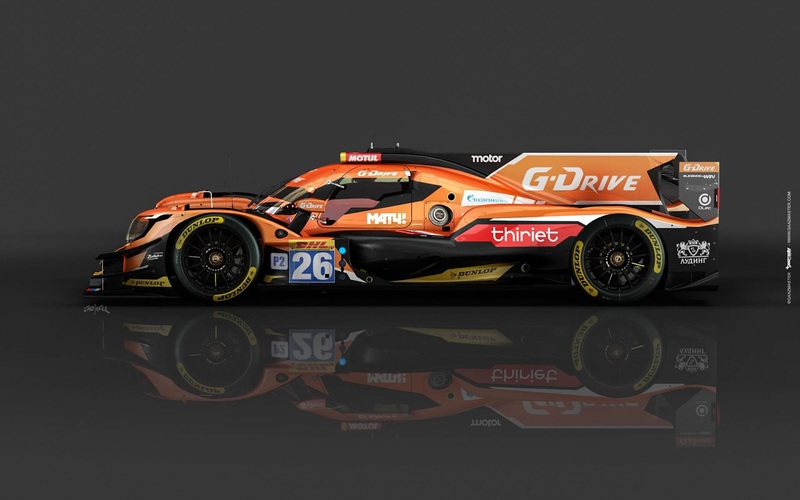 After a succesful collaboration with Jota Sport in the FIA WEC and ELMS last season, G-Drive now teams up with French team TDS Racing. In 2017, G-Drive Racing, with the support of Gazprom oil, will take part in all nine stages of theFIA WEC, including the legendary 24 Hours of Le Mans. 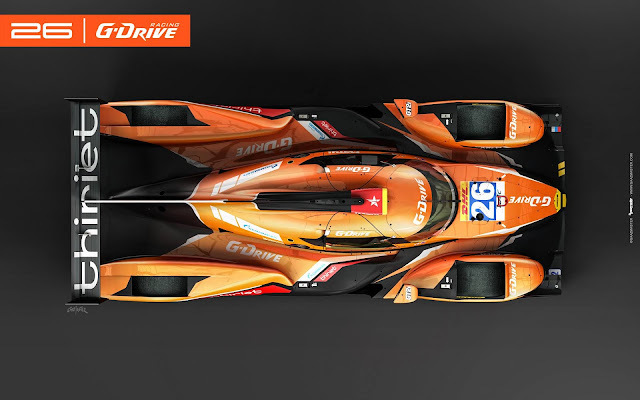 In the upcoming season, G-Drive Racing will race the all new Oreca 07 prototype with the Gibson V8 engine. Behind the wheel of the car under the number 26, Roman Rusinov will be joined by Frenchman Pierre Thiriet, who steps up to the FIA WEC after a few very succesfull seasons in the European Le Mans Series with several wins and the overall title in 2012. The name of the third driver will be announced later. The team is currently in negotiation with several drives with experience in Formula 1. 2017 will be a jubilee season for G-Drive Racing, their fifth in the FIA World Endurance Championship. In the past 4 years, they won 15 races, a record in the LMP2 class. 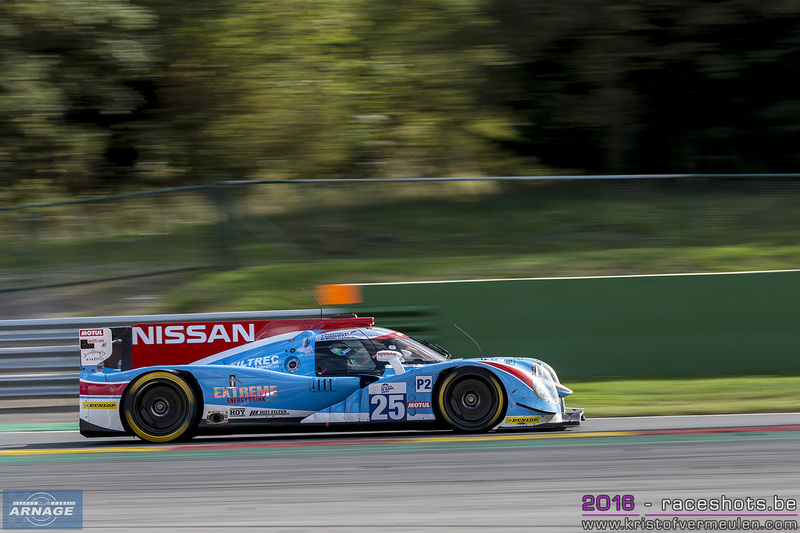 They took the LMP2 championship on 2015 and scored a winning streak of 3 races at the end of last season. Roman Rusinov, G-Drive Racing driver: "We are ready for a great new season in the FIA WEC. Putting everything together for this season wasn't easy though, as the change of technical regulations required us to search for a new car and technical team. 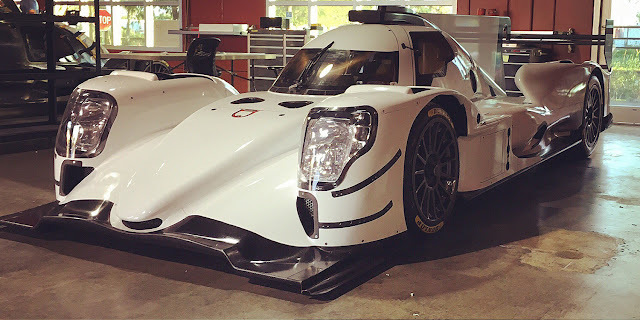 We have been working on this for the past six months, and have opted for the new Oreca model. We believe that this car will be the fastest on the grid and are looking forward to the start of the seaso. Our goal: only victory. " Alexander Krylov, Gazprom oil Director of Regional Sales, Project Manager-Drive Racing: "The new technical regulations are intriguing. The new engines are more powerful, and the speed of LMP2's are getting closer to the LMP1's. And most importantly, the company can test the G-Drive fuel on the most advanced technology. We have already started testing in the off-season tests and will continue to do so during the races. We are constantly improving the motor characteristics of G-Drive fuel, and consumers know that this is the most powerful fuel both on the racetrack and on the streets of Russian cities. " 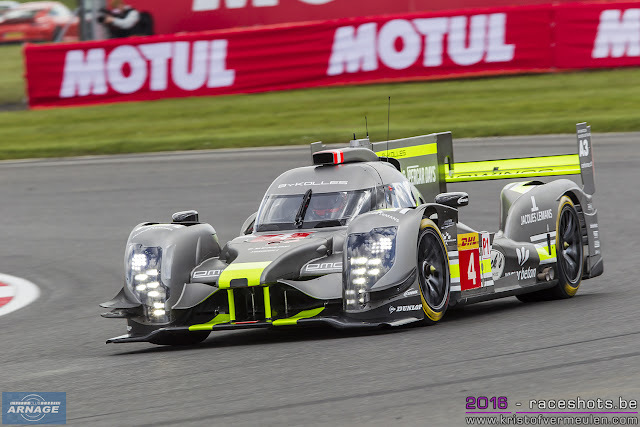 ByKolles racing announced its new deal with Nissan/Nismo to supply a new power unit for their CLM P1/01 LMP1 prototype. The German team also confirmed that as from 2018 the car will be available to customers. ByKolles will then be the second manufacturer able to supply a chassis, next to Ginetta. ByKOLLES Racing is looking forward to the cooperation with a new engine supplier for the 2017 FIA World Endurance Championship season. The private LMP1-Team based in Greding, Germany, will cooperate with Nismo as engine supplier with immediate effect. The integration of the V6-Turbo Engine, as well as many other improvements to the chassis, bodywork and mechanical parts of the CLM P1/01 are all progressing according to plan. “In our extensively revised CLM P1/01, Nismo Twin-turbo engine will deliver it’s power to the rear axle through the reliable Xtrac gearbox“, explains Boris Bermes. „We’re relentlessly working on numerous additional improvements to our car. As a result of the changes in regulations for 2017, we will be able to make big improvements to both the front and the rear, particularly in aerodynamics. In addition to that, our design engineers have achieved a reduction in weight, and have introduced comprehensive updates to mechanical components. We’re already looking forward to the first tests with our fully revamped CLM P1/01. This afternoon, the ACO confirmed the list of 14 auto-entries for this years Le Mans 24 Hours on June 17-18th. 14 teams have already won an invitation to participate in qualifying for the 2017 Sarthe Classic. 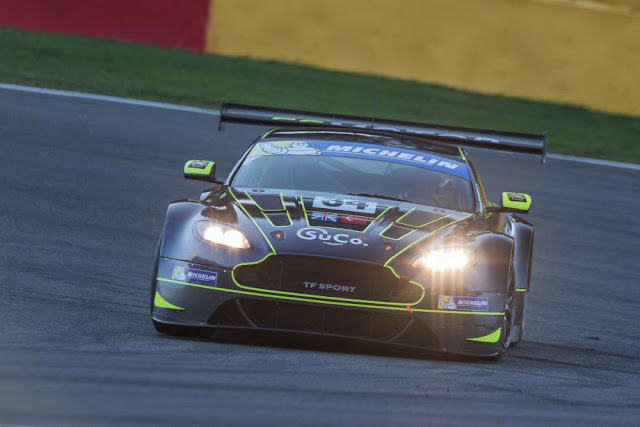 These have been awarded taking into account the results of the 2016 Le Mans 24 Hours, European Le Mans Series, IMSA WeatherTech SportsCar Championship, Asian Le Mans Series, the last round of which took place this Sunday, and the Michelin GT3 Le Mans Cup. As reported last week, 13 entries were already known following the end of the Asian Le Mans Series. The remaining entry still had to be proposed by IMSA and has been appointed to Ben Keating Racing with the Riley-Multimatic LMP2. It's still to be seen of Keating will run the car on his own team, or in collaboration with Visit Florida Racing which is racing the same car in IMSA. Visit Florida Racing also planned to apply for an entry at Le Mans this year. Keating will be one of the three drivers, the other two still to be announced. Jeroen Bleekemolen is expected in the Riley (they share a Mercedes GT3 in the IMSA WeatherTech Championship). 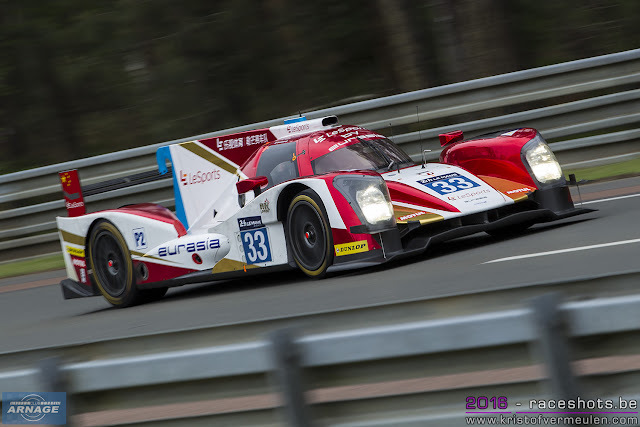 If Visit Florida Racing supports Keating at Le Mans, Marc Goossens could well be the third driver, reuniting the team that drove the Murphy Prototypes Oreca03 last year. Each invitation will be confirmed only if the car in question is entered in one of the following three championships in 2017: Asian Le Mans Series, European Le Mans Series and the IMSA WeatherTech SportsCar Championship. The entries for the 2017 Le Mans 24 Hours, FIA World Endurance Championship (FIA WEC) and European Le Mans Series have been open since Friday 16th December. The closing date is today Tuesday 24th January. The complete lists will be announced live from Le Mans on Thursday 2nd February at 16:00 in exclusivity on the internet in a totally new innovative format. As of now the media and surfers can pose questions via the social networks using the hashtag #Endurance2017. 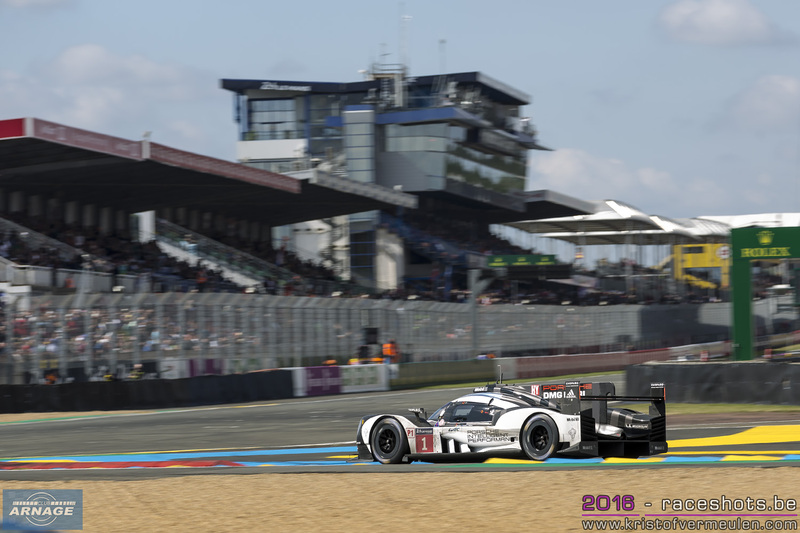 13 automatic entries for Le Mans known after the Asian Le Mans Series finale. With the Asian Le Mans Series closing down their season after the final race in Sepang this morning, 13 of the 14 auto-invitations for this years 24 Hours of Le Mans are known right now. - JMW Motorsport as runner up in the GTE-Am class (invite in GTE-Pro or Am). - TF Sport (Aston Martin). - Scuderia Corsa Ferrari as LM GTE-Am winner. The IMSA WeatherTech SportsCar Championship also has been granted 2 entries for the French classic. 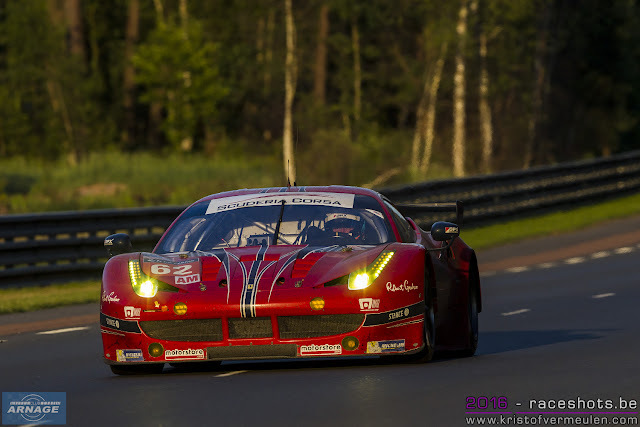 The first one has already been assigned to Scuderia Corse for a second Ferrari in the GTE-Am class. The second entry should go to an LMP2 team. Visit Florida Racing seems to be in pole position for this one, although the Riley/Multimatic of Ben Keating might be another contender (depending on their programme for this year). 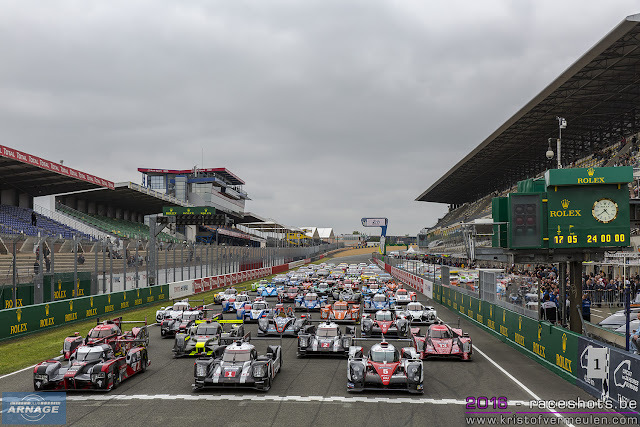 On February 2nd all 60 invited entries for the 24 Hours of Le Mans will be announced at a press conference, as well as the confirmed entry lists for the FIA World Endurance Championship and the European Le Mans Series. Less than three weeks of the presentation of the 2017 entry lists in FIA WEC, ELMS and the 24 Hours of Le Mans, let's take a look at what we know so far. First up is the LMP2 class in the European Le Mans Series. With the entry of the all new 2017 regulations and Gibson powered cars, the era of open top prototype racing now has come to an end. No more Gibson, Morgan or Oreca03 on the starting grids, but all closed cockpit coupes. Initially a sub class for older LMP2 proto's has been announced in which they would be "grandfathered" (but remain uncompetitive for an overall victory) in the championship, but all teams are switching for new LMP2 prototypes immediately. Looking at the confirmed/expected entries, this will be a very varied field with a healthy mix of Ligier, Oreca and Dallara prototypes. The only manufacturer not on the list today is Riley-Ave, although there still might be a chance we'll see all four new LMP2 cars on the ELMS grid. At this moment there's a possible entry list of a very healthy 12 to 16 cars. Jota Sport should be set to defend its 2016 ELMS title with an Oreca 07 (the Oreca05 which will be upgraded to the new 2017 specs). Whether this will be under the flag of G-Drive Racing remains unclear. Following the release of the new driver ratings in which Roman Rusinov was upgraded to Gold rating, the Russian driver threatened to leave the WEC and ELMS championships with his G-Drive sponsorship. Given recent reports, it seems very likely though that Rusinov will stay in endurance racing. Simon Dolan & co will be back for sure, with or without Rusinov's support. 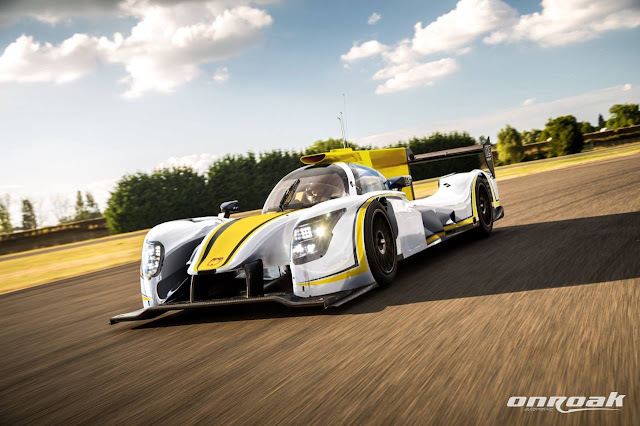 After an impressive first season in the European Le Mans Series this year (4 podium finishes, 1 win, 3 pole positions), Dragonspeed announced the acquisition of 2 Oreca07's in June last year. Both cars have recently been delivered; one brand new Oreca07, the second is the upgraded Oreca05 in which they raced last year. Nicolas Lapierre, Ben Hanley and Hendrik Hedman are already confirmed for the first car in this seasons ELMS. The team is now working on a driver line-up to field a second car in the European Le Mans Series. They will start their season in the Daytona Rolex24 at the end of January. 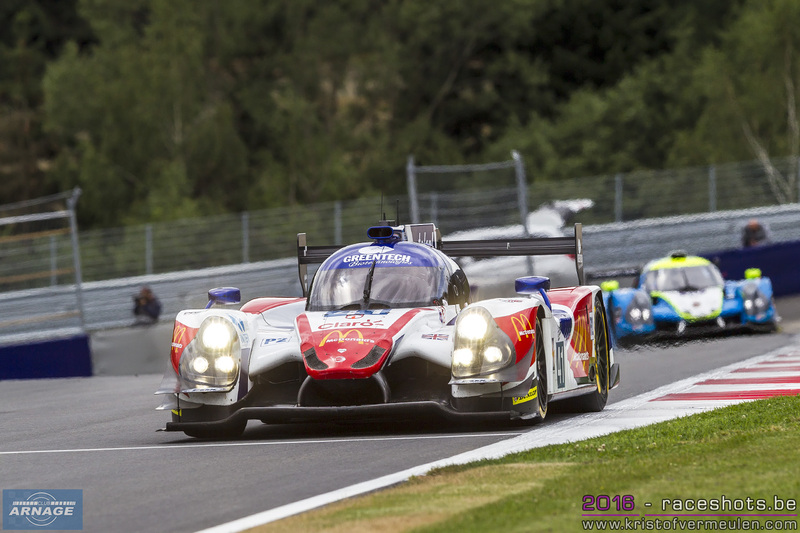 Lapierre has also been confirmed at Alpine in the FIA WEC, so if Dragonspeed gets an invite for Le Mans, they'll have to find a replacement driver for Lapierre. Winning the 2016 LMP3 championship granted United Autosports an invite for the 2017 24 Hours of Le Mans. 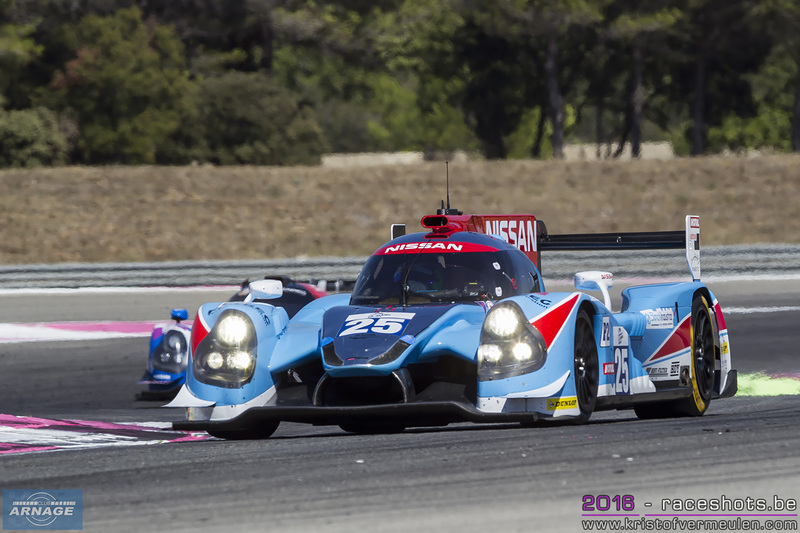 The team took it up and purchased a Ligier JSP217 to race in the LMP2 class. The car will also be fielded in the European Le Mans Series, in addition to both LMP3 cars in the championship. The first 2 drivers have been confirmed at the Autosport show last week: American Will Owen and Swiss-born Hugo de Sadeleer. 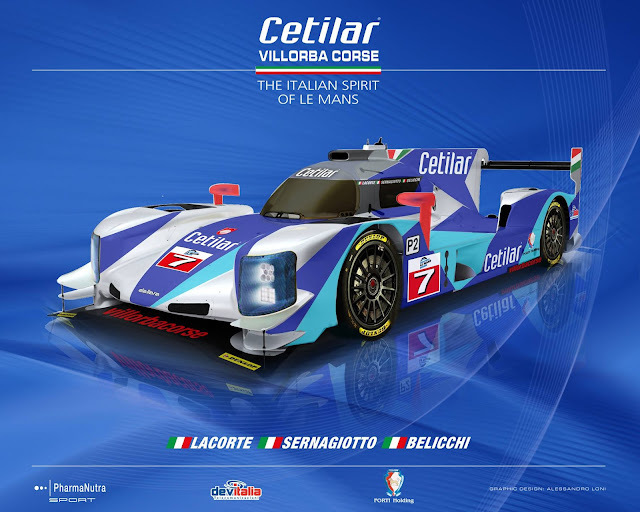 Italian team Villorba Corse continues to work on its "Road to Le Mans" next season and steps up to the LMP2 class. They will race a brand new Dallara LMP2 in the ELMS, driven by Andrea Belicchi, Roberto Lacorte and Giorgio Sernagiotto. The team will also apply for an entry in the 2017 24 Hours of Le Mans. LMP3 vice champions Graff Racing are moving up to the LMP2 class next season with 2 Oreca 07's. Initially a one car effort was announced last september, but recently the addition of a second car has been confirmed (depending on budget and drivers). An application to enter the 24 Hours of Le Mans will also be filed. The team has already participated 11 times in the 24 Hours between 1980 and 1993 and aims to return with 1 car. 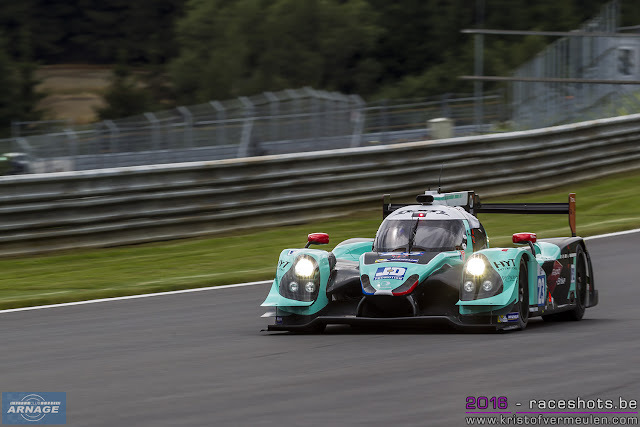 Graff Racing has also the intention to race one Ligier JSP3 in the ELMS this season. 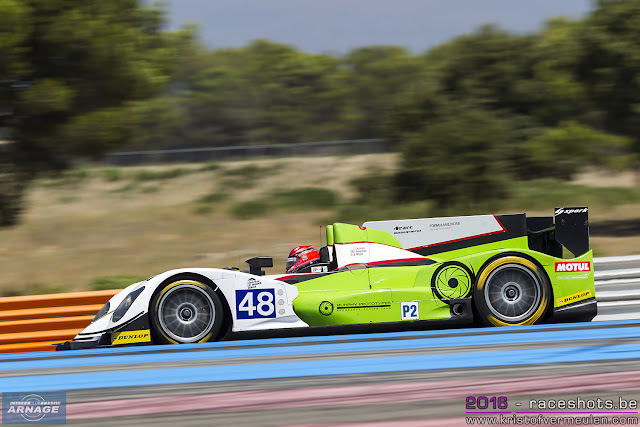 Olivier Pla will race with IDEC Sport in the LMP2 class next season. He will be the leading driver in the Ligier JSP217/Gibson, alongside Paul and Patrice Lafargue. Pla will combine the ELMS championship with his factory drive for Ford in the WEC. If IDEC gets an invite for Le Mans, Pla won't be able to race with the French team, as in the first race of the season in Silverstone. The team is also looking into the LMP3 class, with a possible entry of one car. Greaves Motorsport is expected to be back in the championship this season, either with a car of their own or running customer team(s). The future of Krohn Racing which was run by Greaves last year remains unclear up untill now. We expected Krohn to acquire a new Ligier JSP217, but he's also been linked to Dallara recently. 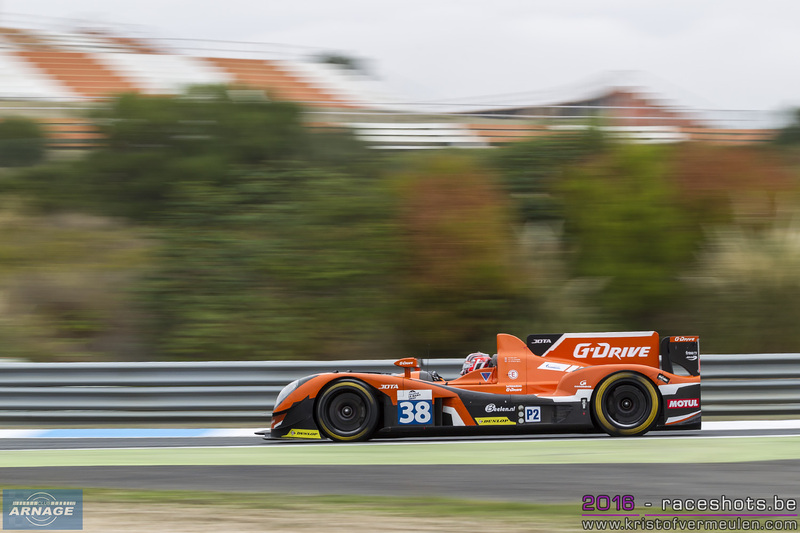 With Olivier Pla leaving for IDEC, Krohn now lost his lead driver from the last ELMS campaign. The team has confirmed working on their plans for 2017, so expect an announcement by the end of the month. No news about the future of Murphy Prototypes so far. Murphy's men gave young talent a chance in LMP2 throughout last season and teamed up with Ben Keating & Bill Riley for the 24 Hours of Le Mans. Running an Ave-Riley LMP3 was planned for last season but the debut of the car being delayed several times postponed those plans. Will Murphy return in LMP2 or will they eventually enter the Riley LMP3 (for which they already had been assigned as agents for the European market) ? Rumours were spreading about Ben Keating showing interest in LMP2 to return to Le Mans also, with a possible full season entry in ELMS. A new team in the top class of the European Le Mans Series next season will be Racing Team Nederland. An ambitious Dutch team running a Dallara/Gibson, supported by Davytech. This is a very ambitious project, funded by Jumbo boss Frits Van Eerd who will be sharing the car with former Le Mans winner Jan Lammers and Rubens Barichello joining in for Le Mans (if they get an invite). 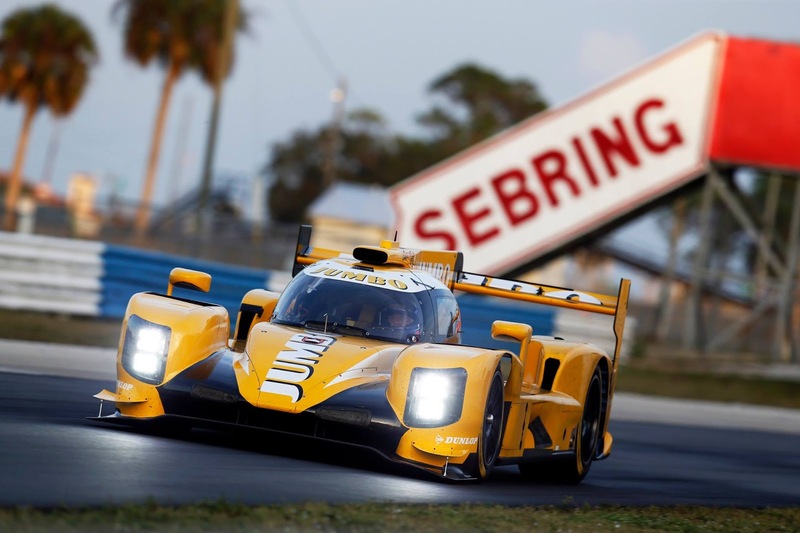 An intense testing program has been completed up until now, including the Dunlop tire tests at Sebring last December. Panis Barthez Competition has bought a new Ligier JSP217 for their second season in the ELMS. No news on drivers yet, but Fabien Barthez will surely be back at the wheel. 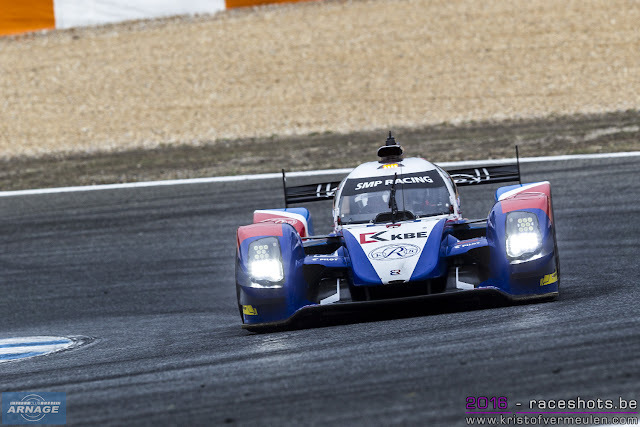 The French team will also continue to race in the LMP3 class. Eurasia will apply for a Le Mans entry again, but their future in the European Le Mans Series is unclear. Losing Jo Pin Tung and his sponsoring funds last season forces them to work with a tighter budget and it's not certain a full ELMS campaign will fit for 2017. The team is now active in the Asian Le Mans Series, winning the last race at Buriram. 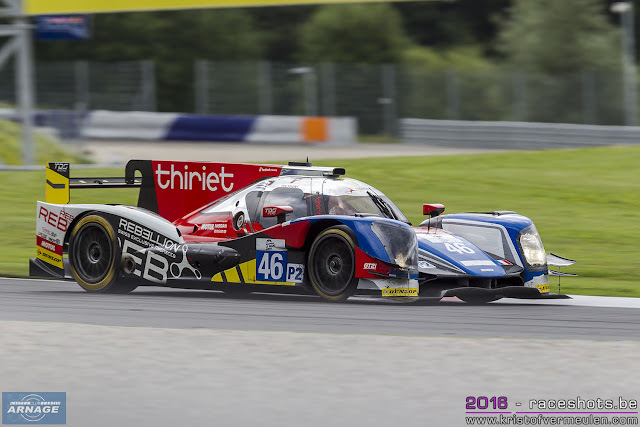 RLR M-Sport who have been active in LMP3 in the past 2 years also bought a Ligier JSP217 to run in LMP2 this season, and will apply for an invite at Le Mans. They are into the market for (paying) drivers at the moment. Tockwith Motorsports impressed in LMP3 last year when they stepped up from the Michelin GT3 Cup. Very strong performances in the 4 hours of Le Castellet and Spa-Francorchamps made the them quickly order a Ligier JSP217 and step up again to LMP2. Nigel Moore and Philip Hansen will be the drivers of red/white Gibson powered Ligier. A return of Thiriet by TDS Racing this season is unlikely, the team already confirming to step up to the FIA WEC in an Oreca07. LMGTE Am champions Emmanuel Collard and François Perrodo will drive the car together with Matthieu Vaxivière. 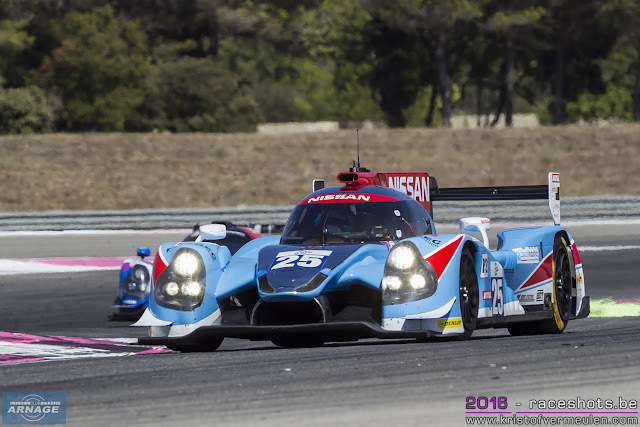 Pierre Thiriet also has been linked to a possible Alpine drive in the WEC this season. Last year, the team quite early employed plans to run a Norma LMP3 in the ELMS, whether that's still on the table is unclear. The future of SMP Racing in LMP2 is still in doubt. Their BR01 now outdated with the arrival of the new generation LMP2's. Running the BR01 is still possible in the ELMS, but as a "grandfathered car" & way off the pace of the new prototypes. Ambitious plans were announced back in November with the development of a new LMP1-L for 2018 in a joint venture with Dallara. Recent rumours about hitting troubles early on might . 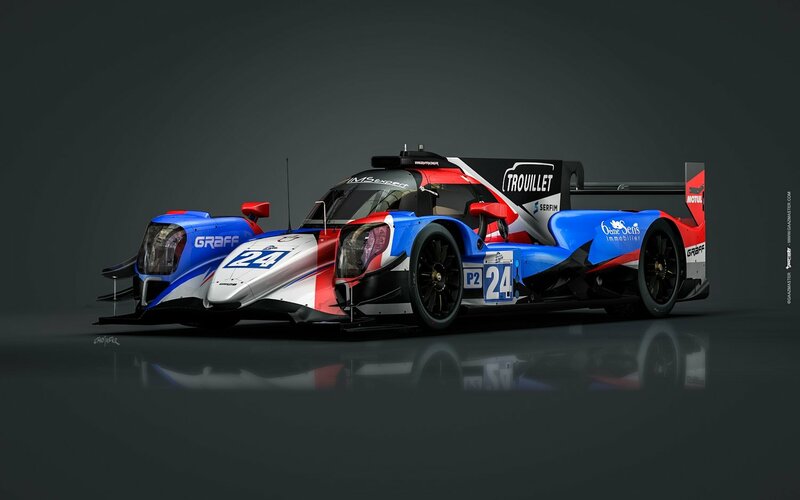 There might be a chance SMP running a Dallara LMP2 this season, or will they solely focus on the GTE class ? 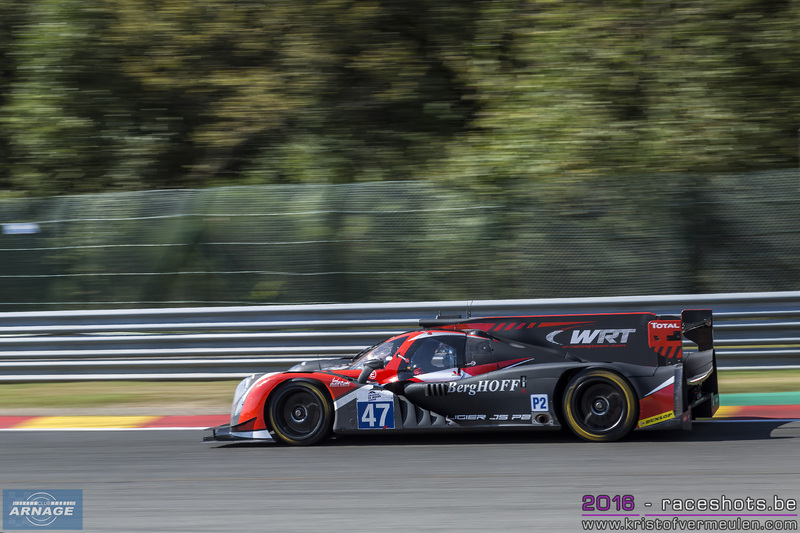 WRT made an impressive one-off appearance at the 4 hours of Spa-Francorchamps last September, finishing second in the debut race with an LMP2 prototype. Rumours of the team going into LMP2 have now been denied by team boss Vincent Vosse. They have been looking into a FIA WEC campaign next year but a possible LMP2 entry is on stand by at the moment. If WRT goes into LMP2 it has to be with a sufficient budget at the resources to compete for the win. The project isn't off the table completely, this might be one to watch for 2018. 2 teams who are also active in the Asian Le Mans Series haven't confirmed any plans for this year in the ELMS. 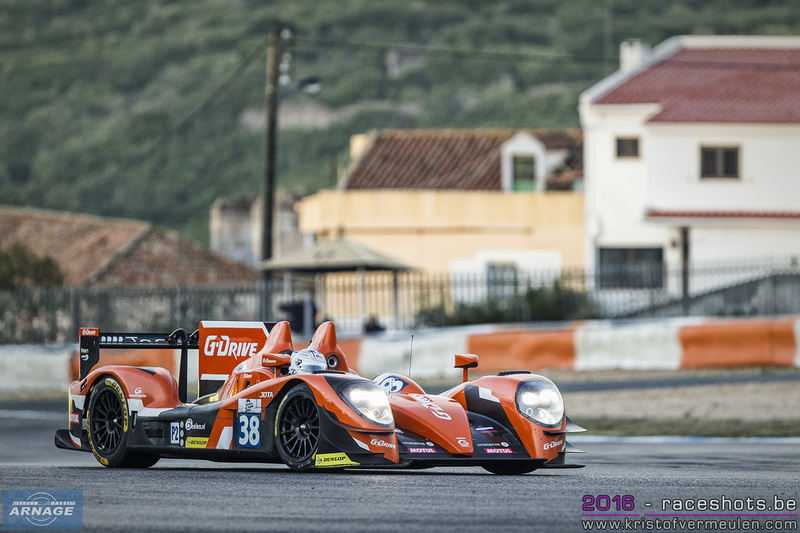 Both Algarve Pro Racing and Race Performance race in Asia with their current LMP2 machinery. Algarve Pro Racing is looking into a full season entry in the FIA WEC in 2018, plans for 2017 haven't been announced yet. Race Performance have put their Ligier LMP3 for sale recently and is defending the Asian Le Mans Series title in LMP2. There has been no official announcement so far about the future of the team. Pegasus Racing definitely won't return to the LMP2 class as they will switch to LMP3 in 2017 with at least one Ligier JSP217. In 2017, the Michelin GT3 Le Mans Cup will be known simply as the Michelin Le Mans Cup with the introduction of LMP3 alongside GT3. This new logo with simple, yet timeless lines was created to reflect the values, the dynamism of the series and to provide an instantly recognisable brand for the Michelin Le Mans Cup, with the colour scheme matching those of the title sponsor. The 2017 Michelin Le Mans Cup will be held over six races in Monza (Italy), Le Castellet (France), Red Bull Ring (Austria), Spa (Belgium) and Portimão (Portugal). The highlight of the calendar will be the ‘Road to Le Mans’ race on the morning of the 24 Hours of Le Mans. 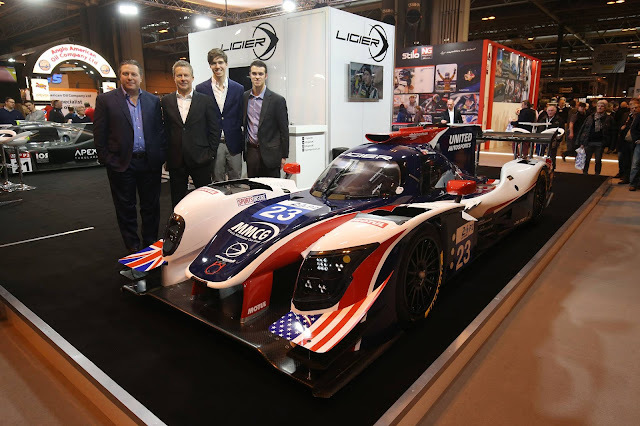 This afternoon at the Autosport Show in Birmingham, United Autosports conformed its LMP2 entry in the European Le Mans Series and the 24 Hours of Le Mans. 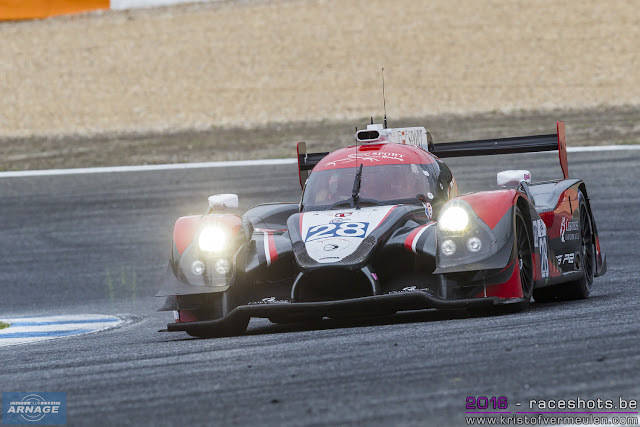 The first two drivers of the LMP2 line-up have also been announced. Will Owen and Hugo de Sadeleer have joined the reigning ELMS LMP3 championship winning team for their debut LMP2 season. Will and Hugo will also be racing at the prestigious Le Mans 24 Hours in June as part of the agreement. American, Will Owen began karting at the age of 15, quickly moving into single seater racing. He has previously competed in the USF2000 Championship, winning in Indianapolis and scoring multiple top-10 finishes in his debut year. Most recently, Will has been racing in the Pro Mazda Championship. Swiss-born Hugo de Sadeleer also comes from a single seater racing background, having most recently raced in the 2016 Eurocup Formula Renault 2.0 – one of the support races to the ELMS. Hugo has previously tested with United Autosports in one of their Ligier JS P3 sports prototypes at Estoril, Portugal at the end of last year. Will and Hugo will be joined by an as yet unconfirmed third driver in the United Autosports Ligier JS P217. Last week United Autosports have already confirmed their two-car ELMS LMP3 drivers, by announcing American pairing, John Falb and Sean Rayhall at the end of the 2016 season, with the announcement last week that Mark Patterson, Wayne Boyd and Christian England will remain with the team for 2017. “I am so excited to be a part of the United Autosports LMP2 team. 2017 is shaping up to be a fantastic year and I am very thankful to have this opportunity to race in the European Le Mans Series with such an experienced and professional team. There is going to be great competition this year in the LMP2 category and we are all going to learn so much but I also know everyone on the team is pushing to win. It is a dream come true to be able to go race at circuits like Silverstone, Monza, Spa and Le Mans. It has been a goal of mine to race at the Le Mans 24 Hours but I never thought I would make it this early in my racing career. It is an honour to be a part of an event with such deep history. Entry lists for Le Mans, FIA WEC and ELMS to be revealed on February 2nd. The Automobile Club de l’Ouest is innovating and using a totally new format to reveal the lists of entries for the 2017 European Le Mans Series (ELMS), FIA World Endurance Championship (FIA WEC) and the Le Mans 24 Hours. 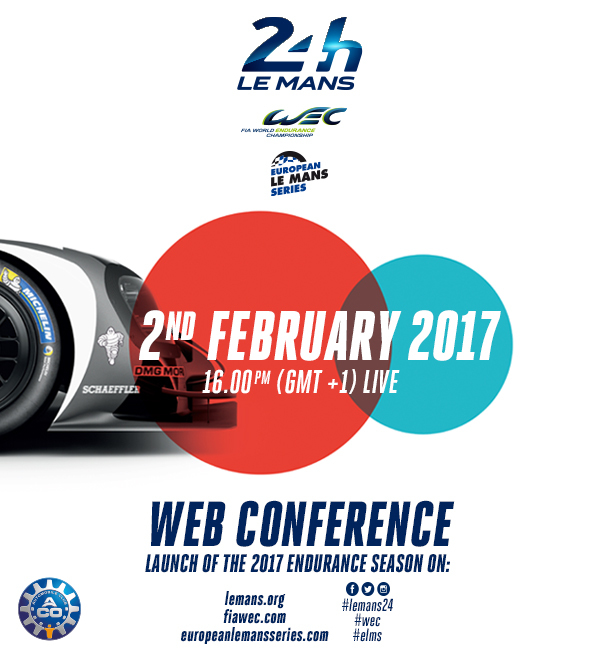 Live from Le Mans on Thursday 2nd February 4:00 pm (GMT + 1) the lists will be revealed in exclusivity on Internet in a new innovative interactive format. Medias and surfers can ask questions via the social networks. On a dedicated stage in a friendly ambiance, the hosts will interview the ACO representatives and will have the on-the-spot reactions of key players in the world of endurance thanks to several duplexes. Several new subjects will be tackled during this innovative reveal! Rendezvous on the internet sites and social networks on 2nd February.